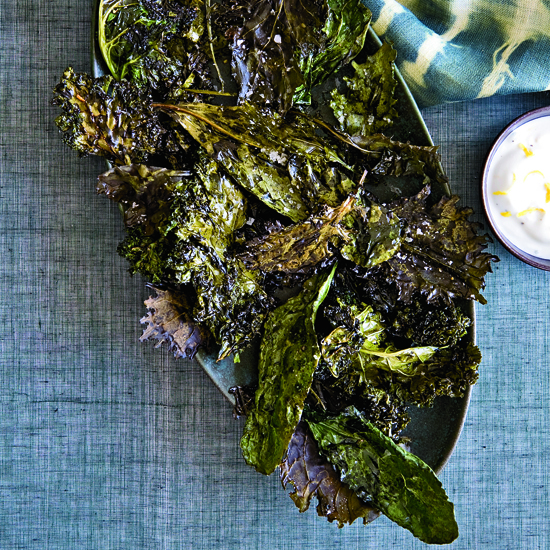 Greens are a great way to add a nutritional boost and a pop of color to any meal, whether it's a raw salad or a warm, savory side dish. 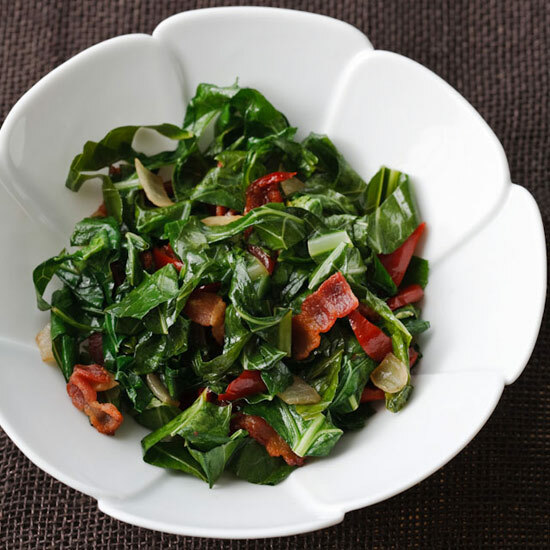 From spicy braised escarole to swiss chard with smoked bacon and jalapeño vinegar, here are tasty and innovative ways to incorporate greens into meals. 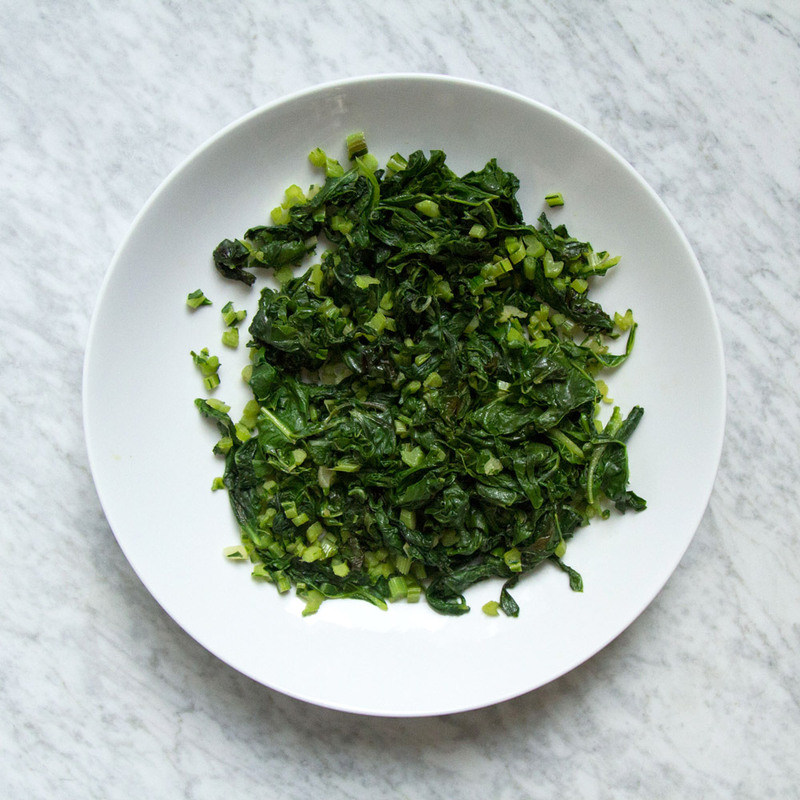 Chef Hugh Acheson says that with so many great choices of greens available today, it's essential to know the best way to cook each one. 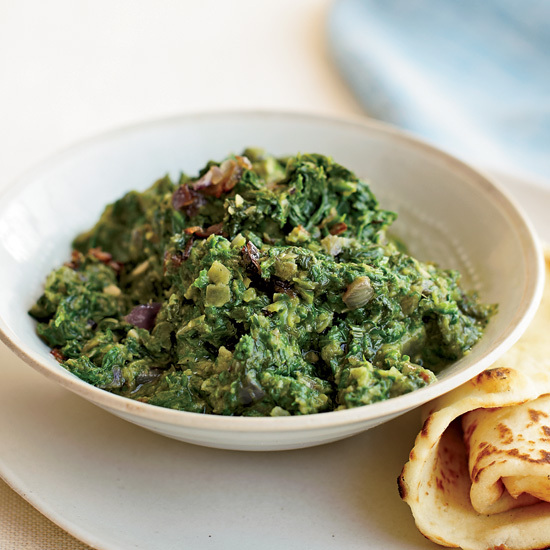 Cooks in northern India make this dish, called sarson ka saag, when winter greens are in season. 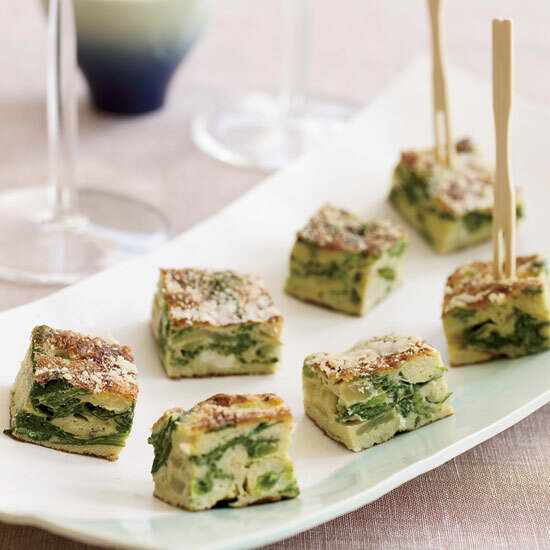 Sanjeev Kapoor's daughters like spreading the greens on makki ki roti (cornmeal bread), adding a cheese topping and grilling the bread to make a kind of pizza. 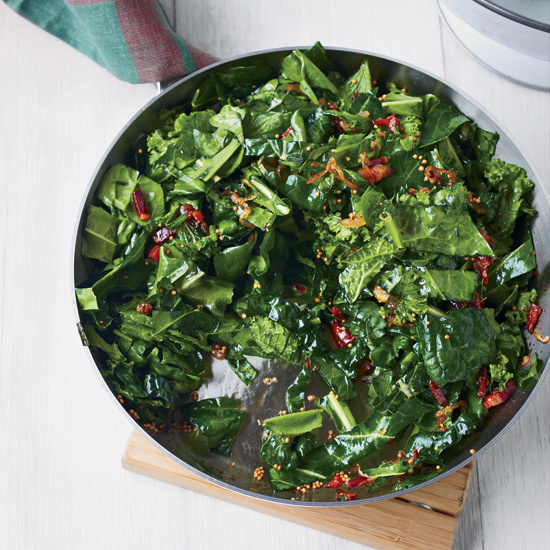 You can use any greens you like in this quick sauté, which gets terrific flavor and texture from smoky bacon, hot chile and the pop of mustard seeds. 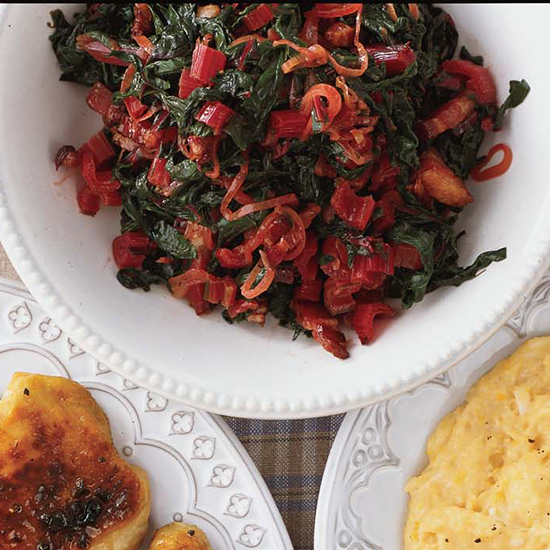 "I don't think a cuisine should ever stop growing," says Hugh Acheson. 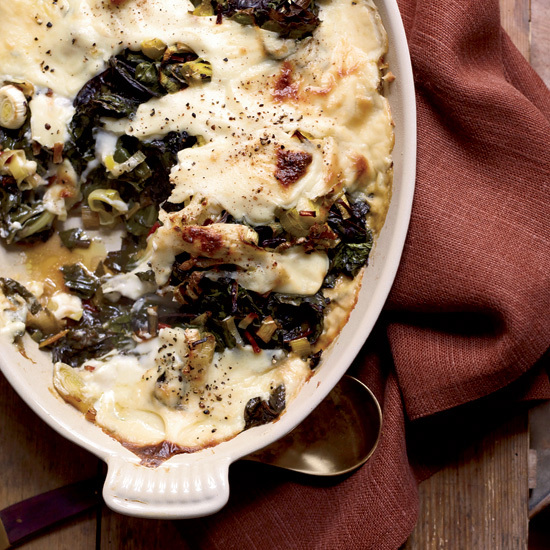 In this updated version of creamed spinach, the classic Southern side, he substitutes firm collard greens for the spinach and adds chopped kimchi to the cream sauce for a racy kick. 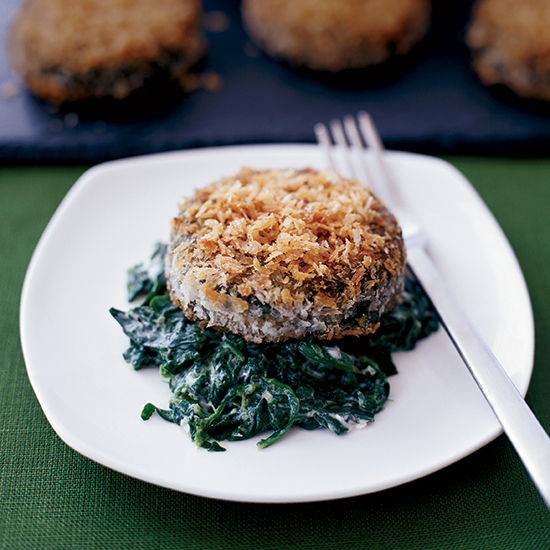 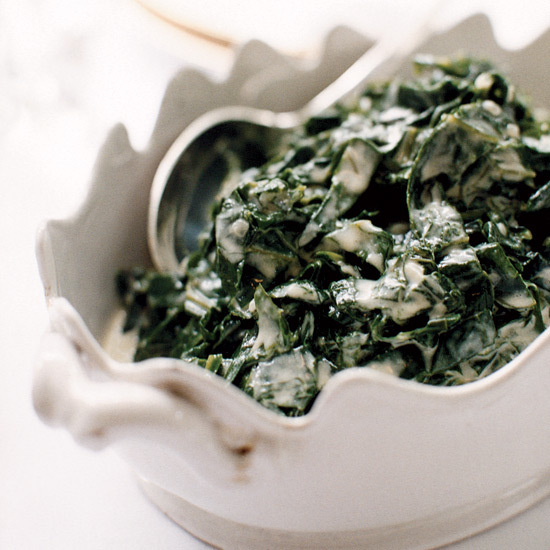 This is a Southern interpretation of French creamed spinach. 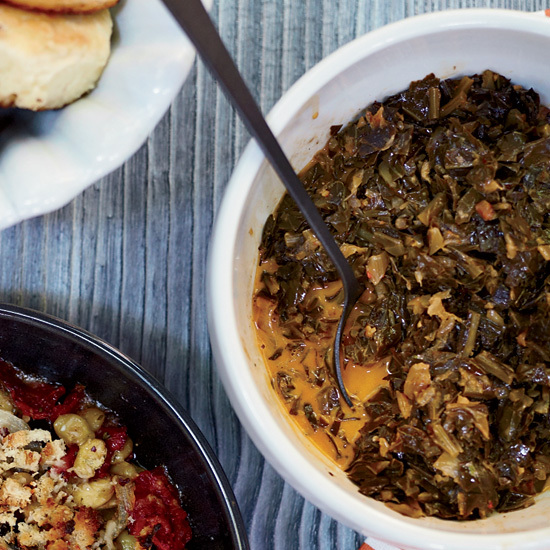 The collards add a pleasant bitterness to this lush side dish, but it's important to shred them finely before you simmer them in the cream or they'll never get tender. 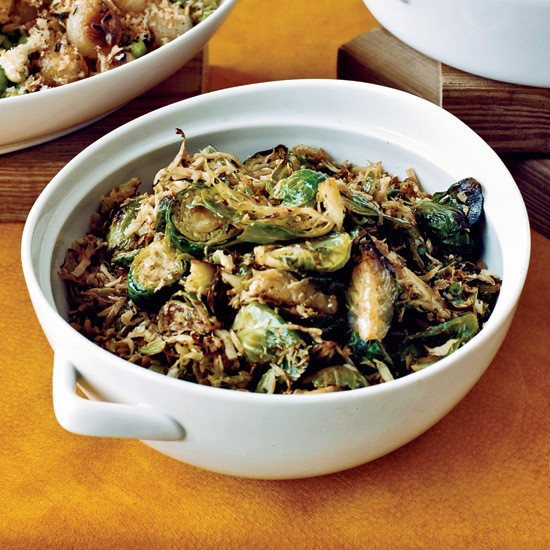 For this stir-fry, Shawn McClain combines homemade chicken stock, Chinese fermented black beans and peanut oil. 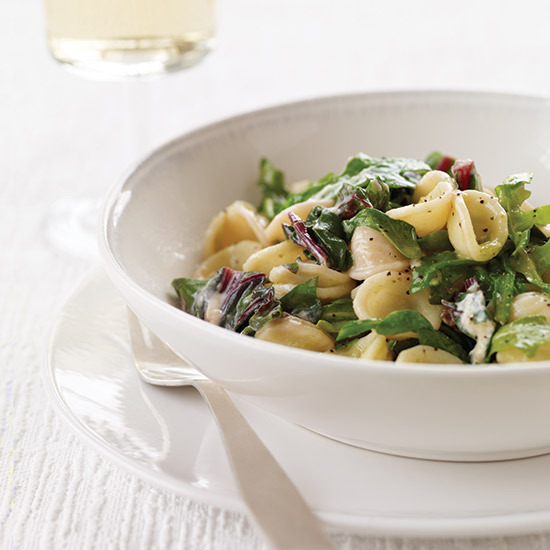 We substitute store-bought chicken broth for the homemade kind. 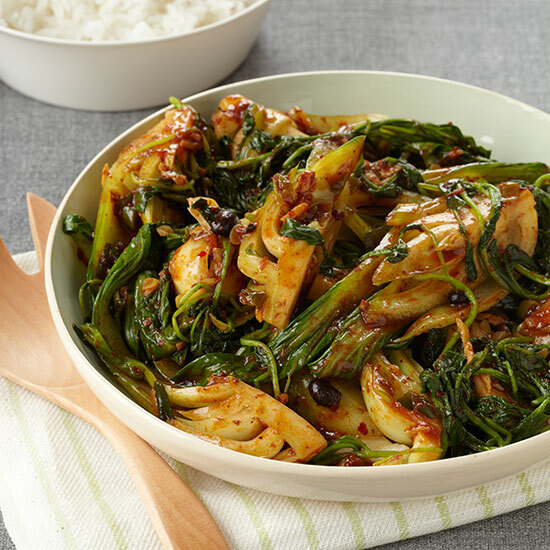 Instead of fermented black beans, which can require some hunting to find, we call for the more ubiquitous jarred Chinese black bean sauce. 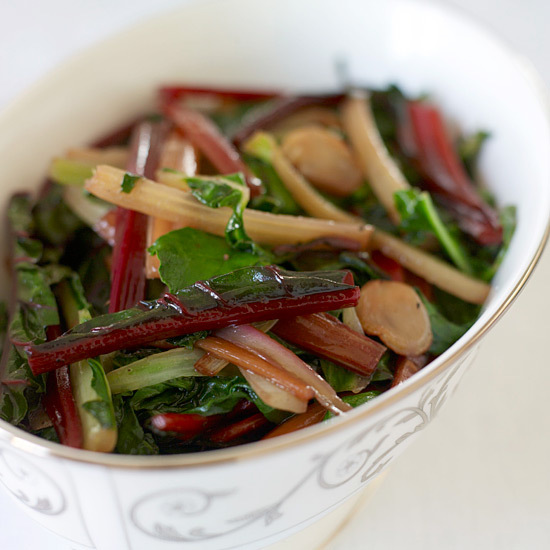 We also drop the peanut oil in favor of vegetable oil, which is lower in saturated fat. 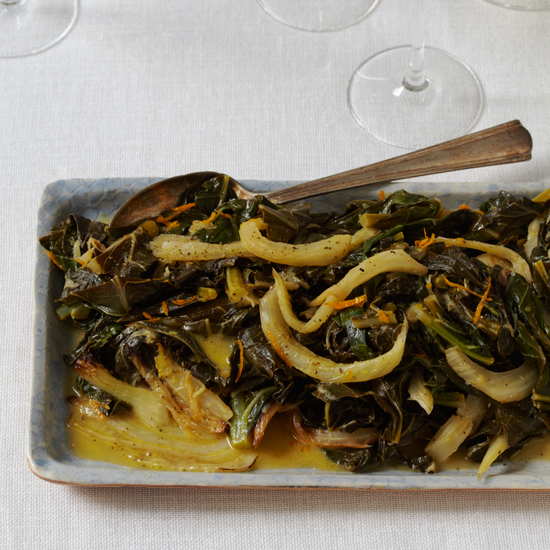 In this recipe from Bruce Bromberg and Eric Bromberg, the tangy fennel and orange butter transform the potentially bland collard greens. 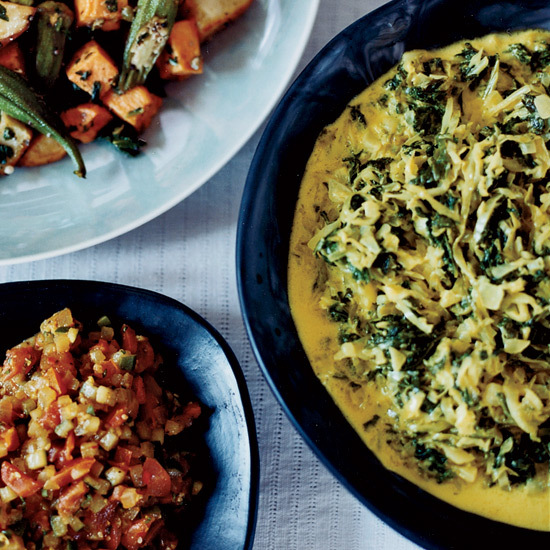 Marcus Samuelsson stirred ginger and turmeric into this vegetable side dish to give it a kick, then added cream and buttermilk to smooth and soften the spicy flavors. 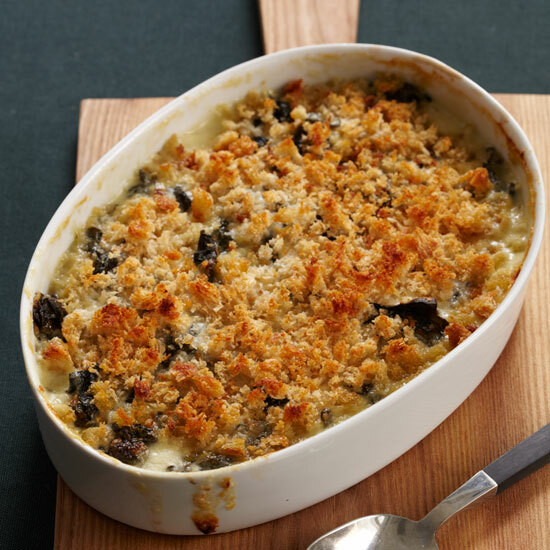 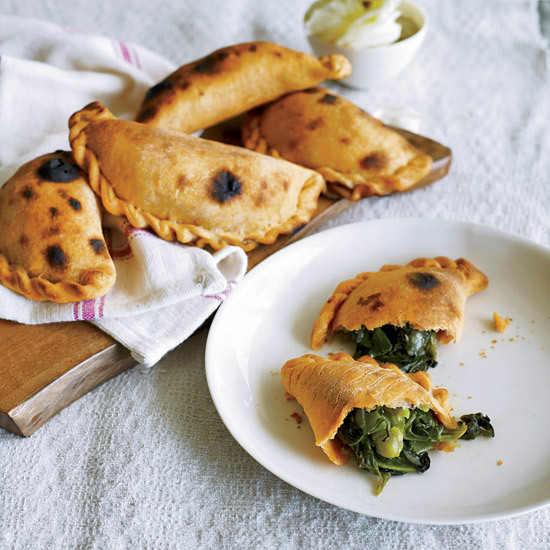 This easy recipe can be made well ahead of time and would be fantastic with any kind of feast. 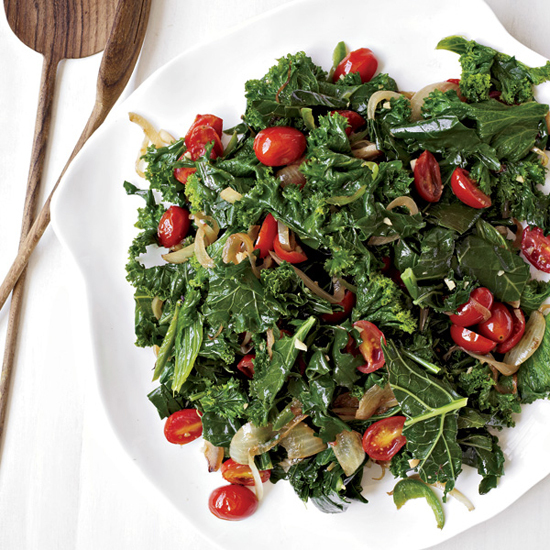 This easy kale recipe—a simple braise of olive oil, garlic and chicken stock—is a terrific counterpoint to rich dishes. 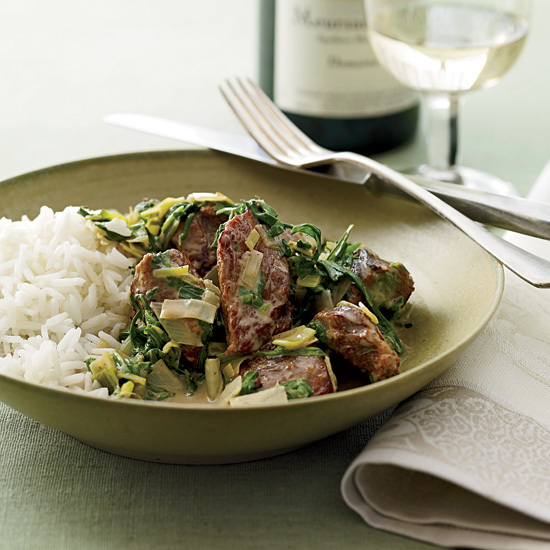 This dish makes the most of aromatic spices, blending cayenne, chile powder, bay leaves, and sparkling cider to start. 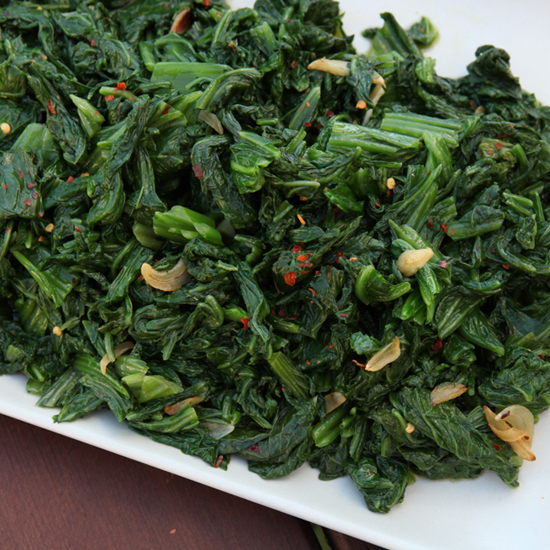 The Baker Creek catalog includes lots of seeds for Asian greens, including some that Jere Gettle found on his travels in Thailand. 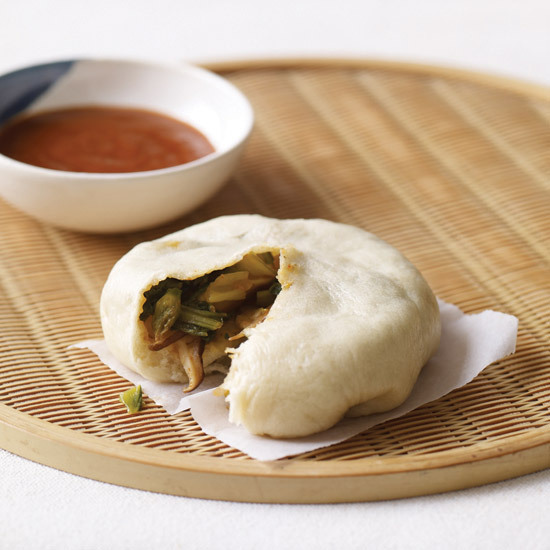 Here, a blend of mild bok choy with spicy mustard greens and oniony Chinese chives fills puffy, savory buns. 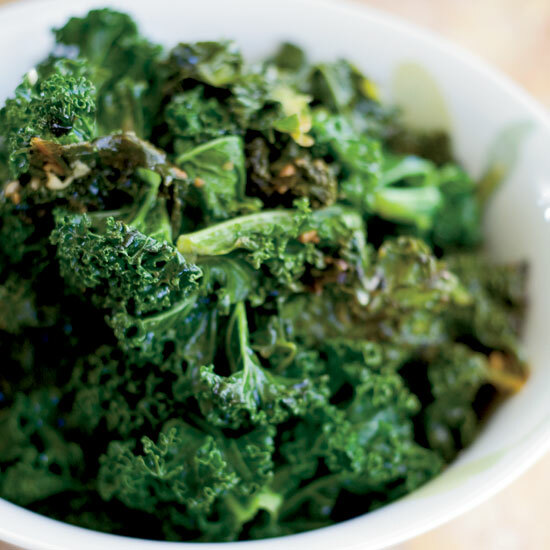 Lightly seasoned with just a handful of ingredients, this recipe chockfull of nutrients is both quick and healthy. 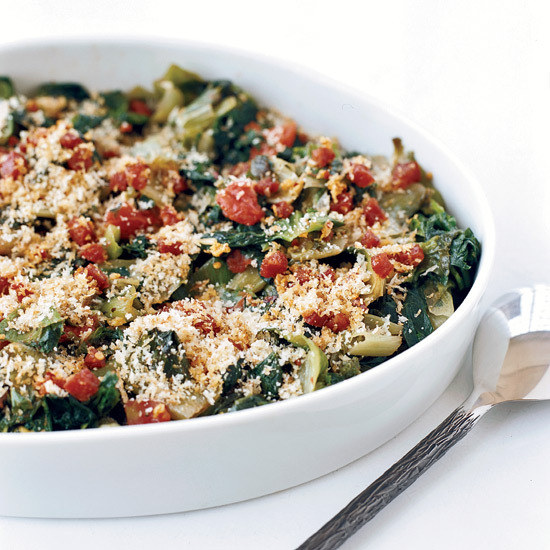 Andrew Carmellini prepares this dish with homemade bread crumbs and hard-to-find Sicilian oregano. 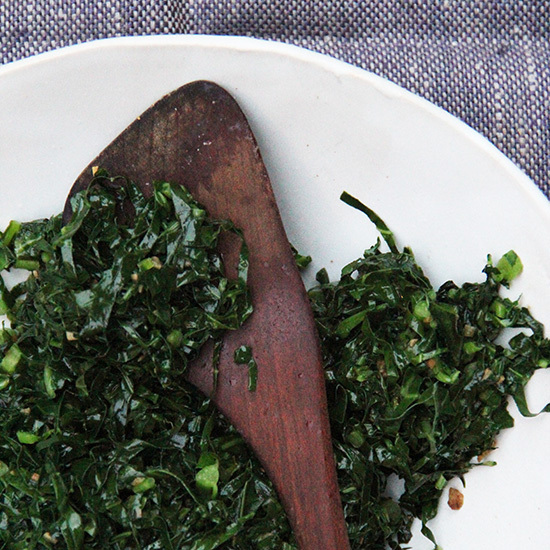 At home, top spicy greens with crispy panko (packaged Japanese bread crumbs) and a touch of supermarket oregano. 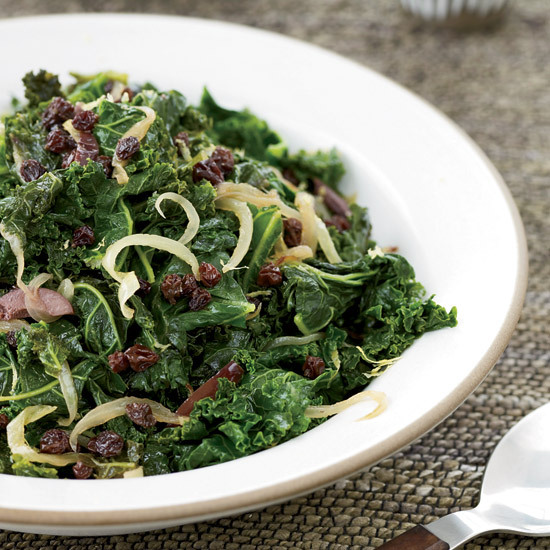 Kale isn't the only green that's delicious raw: The thinly sliced collard greens in this salad are a delicious vehicle for all the goodies tossed with them, including roasted blue potatoes, bacon, crumbled Stilton cheese, toasted walnuts and hard-boiled quail eggs. 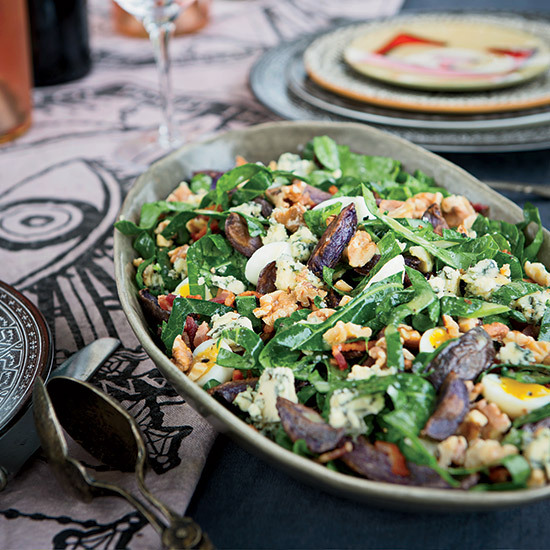 Hard-boiled chicken eggs that are cut into smaller pieces would be a fine substitute.